It's a well known fact that emotions play a powerful role in our decision making processes -- nobody ever claimed that we humans were rational actors (well, aside from economists, who are great for making detailed hypothetical models of things that will never happen, but little good for anything else). And it goes without saying that our attitudes about everything from the products we buy to the companies that we work for are profoundly influenced by our feelings towards those places and things. Unfortunately, anybody who has tried to develop a marketing campaign, whether for selling a new product or motivating employees in the break room knows that making a successful emotional appeal is really hard, especially when you're trying to appeal to a broad group of people. That's why this article from the Harvard Business Review really caught my eye. In short, researchers claimed to have cracked the code on making potent emotional appeals, and they have the data to back it up. Of course it's easy to say "oh, just give your target audience a visceral, overwhelming pleasure and excitement," but actually pulling it off is a very different thing. For some people, watching a trailer for a new movie might be enough to tick that box. But others might need to BASE jump off of the Statue of Liberty to satisfy the same requirement. And it goes without saying that the approaches to making these emotional appeals is going to vary widely by discipline. Product marketers will rely on one set of tools, HR professionals another, safety officers yet another still, and so on. Focus your text content on the most important message you wish to convey. But back it up with visual enhancements that make a relevant emotional appeal. Unless you're in the large-format LED billboard business, you can file this under "boring, but important." As the headline above says, the cost of those LED modules that make up the giant displays found in Times Square, Tokyo, Las Vegas and your local interstate fell at least 15% in 2015. While I haven't been keeping particularly close watch on the prices of these things for very long, that, to me, seems like an astonishingly big drop in a very short period of time. During the same period it seems like 16mm pixel pitch has become the preferred size for roadside and building-mounted displays, versus 20mm in the previous year. Because most LED billboards are made out of smaller modules, this price drop scales linearly with the size of the display (measured in square feet or square meters, usually) and means that in many cases that 14x48' billboard (a standard size for US roadside billboards) costs around $155K as opposed to the roughly $182K it would have cost in 2014. I've seen even bigger drops for older 25mm pixel-pitch screens, but most vendors and buyers these days seem to be interested in the better resolution of 16mm, 12mm and even 10mm displays. The pixel pitch describes how much space is between the individual pixels (picture elements) of an LED screen. Back in the days of CRT monitors it was called "dot pitch" (and measured in fractions of a millimeter). These days for LCD and OLED screens it seems we've settled on dots per inch (DPI), which is admittedly a much smarter thing to do than describing your smartphone as having a 0.001mm dot pitch. The pixels on an LED screen are spaced much further apart than on an LCD display. 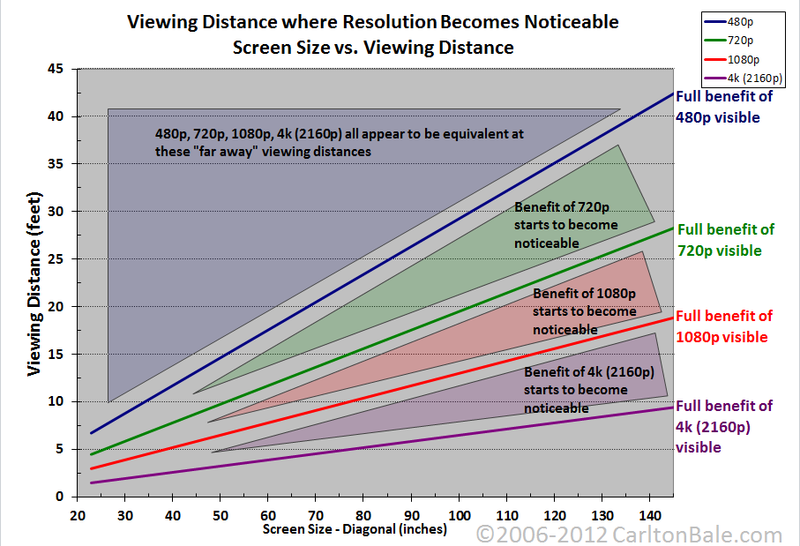 However, it is difficult to notice the gaps when the screen is viewed from far away. Smaller LED screens and screens that will be viewed closer in need to use a smaller pixel pitch to display high-quality imagery. However, because they use so many more LED lamps, they are considerably more expensive. In this example, a 10mm pixel pitch display uses 4 times the number of LEDs as a 20mm display of the same size. So how much do these things tend to cost? We of course have an elaborate LED billboard price calculator that can provide a pretty accurate range of prices for all sorts of bells and whistles, but if you're looking for ballpark pricing, the most popular "standard" size is the aforementioned 14x48' sign. At a 16mm pitch, they currently cost between $140K and $310K, depending on options. At 20mm (so, effectively a lower resolution for a screen of the same physical size), that range is more like $115K and $255K A "poster" or "30 sheet" screen -- another standard size based on old-school OOH media -- is 12x24' and costs $45K - $100K. Why is the price range so huge? Well, there are a lot of different options to consider, like country of origin, the quality of the individual LED lamps (which affect everything from longevity to brightness to reliability), and the materials that the modules are built from. Special ratings and certifications can affect the price too. Fortunately, for most applications the bog-stock offerings from the major vendors will be the best choice, and those tend to be on the low side of the range (for example, we're working with a US-based supplier right now who stocks 14x48' 16mm billboards and sells them for $155K, FOB Miami, FL). As I said, in the past 12 months (or a bit more) many vendors have been working just as hard at lowering the environmental footprint of these devices as they have at lowering the cost. Why? Well, after the capital cost of an LED billboard, electricitity is one of the highest ongoing operational costs, with some screens costing thousands of dollars per month to operate (they're really, really bright, and bigger than you think). While I've yet to hear about a LEED-certified billboard, I've seen literature from several different US and China-based manufacturers recently that claim anywhere from a 15 to 40% power savings versus similar models from a few years ago -- that's not only better for the environment, but given the cost of electricity, it's better for the bottom line.